Automatik updated the task description for T209796: Make automatic edit summariy match the mw-headline tag's id on the desktop version. Automatik created T209796: Make automatic edit summariy match the mw-headline tag's id on the desktop version. Automatik added a member for Tech-Ambassadors: Automatik. Automatik closed T206860: Impossible to rollback a change on fr.wiktionary, says "Changes already revoked" as Invalid. Automatik added a comment to T206860: Impossible to rollback a change on fr.wiktionary, says "Changes already revoked". Oh... I was using a third-party tool to patrol, and I realized that it changed my habits—that is why I did not realize that the changes were actually still patrolled. So, my mistake! Report canceled. @Umherirrender I hear you, but a few days ago, when a user canceled its own change, the "rollback" button was at least patrolling automatically the two last versions when clicked. Now, it is doing nothing but displaying that error. Automatik created T206860: Impossible to rollback a change on fr.wiktionary, says "Changes already revoked". Automatik closed T206329: Scripts fail to load within Firefox for all WIkimedia sites as Resolved. Automatik added a comment to T206329: Scripts fail to load within Firefox for all WIkimedia sites. Do you have an adblocker or similar installed in Firefox, by any chance? The fact that this does not occur in Chrome makes it almost certain that this is browser configuration related. Select "Restart with Add-Ons disabled"
Try opening fr.wiktionary.org, and see if the same message appears. Automatik triaged T206329: Scripts fail to load within Firefox for all WIkimedia sites as High priority. 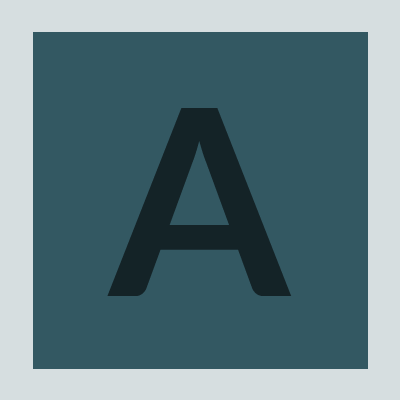 Automatik added a comment to T174498: Monumental tool failed to load bundle.min.js. Automatik created T206329: Scripts fail to load within Firefox for all WIkimedia sites. Automatik triaged T174498: Monumental tool failed to load bundle.min.js as High priority. Automatik created T203274: Entries in Block list are not accurate. Automatik added a comment to T200086: Extend the non-"patrolled" tag above 30 days for fr.wiktionary. The data is stored only for 30 days, as well as the recentchanges thing. The patrolled flag (together with bot flag) is stored only in recentchanges table (stored for 30 days) and not in revision table (stored for indefinite amount of time). And why not? Too much data. Automatik updated the task description for T200086: Extend the non-"patrolled" tag above 30 days for fr.wiktionary. Automatik created T200086: Extend the non-"patrolled" tag above 30 days for fr.wiktionary. Automatik updated the task description for T196201: ExternalException in ListMaker.lbArticles_DrawItem. Automatik triaged T196201: ExternalException in ListMaker.lbArticles_DrawItem as High priority. Automatik created T196201: ExternalException in ListMaker.lbArticles_DrawItem. Automatik awarded T100444: Graph localization support a Mountain of Wealth token. Automatik created T183827: Timeless: images (eg smileys) are not middle aligned with text. Automatik assigned T183822: Thumbs' captions dont display the "Enlarge" button to Isarra. Automatik created T183822: Thumbs' captions dont display the "Enlarge" button. Automatik updated the task description for T181711: mw.Feedback could allow last-minute modifications of the message. Automatik created T181711: mw.Feedback could allow last-minute modifications of the message. Automatik created T172697: Could Orphaned Pages be added as a special page?. Automatik added a comment to T157527: Flac and wav files do not show play options in Commons. Automatik awarded T157527: Flac and wav files do not show play options in Commons a Doubloon token. Here is a .wav file for which not any player is available whereas it has been uploaded for more than six months: is it normal? Automatik added a project to T156660: Enable the Visual Editor for Projet namespace on frwiktionary: Wikimedia-Site-requests. MGChecker awarded T145195: Allow hiding patrolled revisions from a user contributions list a Love token. MGChecker awarded T145195: Allow hiding patrolled revisions from a user contributions list a Like token. Automatik added a comment to T145195: Allow hiding patrolled revisions from a user contributions list. No: I'm just requesting if it's possible that the "Hide patrolled edits" option in Special:Recent_Changes also appears in Special:Contributions. Automatik created T145195: Allow hiding patrolled revisions from a user contributions list. Thibaut120094 awarded T144427: French Wiktionary-new logo a Party Time token. Automatik added a subtask for T76447: Wiktionnaire / fr.wiktionary bugs (tracking): T144427: French Wiktionary-new logo. Automatik added a parent task for T144427: French Wiktionary-new logo: T76447: Wiktionnaire / fr.wiktionary bugs (tracking). Automatik created T144427: French Wiktionary-new logo. Automatik added a comment to T8948: Natural number sorting in category listings. Specificly i think they wanted code point order so not to favour one language over the other in their multilingual wiki. Automatik awarded T987: [Story] Phase 0: Automate interwiki language links for Wiktionary a Mountain of Wealth token. Automatik awarded T124356: Incorrect TOC and section edit links rendering in Vector due to ParserCache corruption via ParserOutput::setText( ParserOutput::getText() ) a Doubloon token. Automatik awarded T124254: Replace static images with full client-rendered graphs a Doubloon token. Nemo_bis awarded T54469: Inaccessible anchors in the special preferences page a Doubloon token. Restricted Application updated subscribers of T55743: CharInsert should also work if CodeEditor is enabled. Automatik added a comment to T115706: Media files appear as broken on Firefox. Sometimes it works and, after the widget loads, instead of the third, I've the first one. This is random. PS: I use Windows 7. Automatik created T115710: Remove obsolete "silcode" interwiki from the default interwiki table. Automatik updated the task description for T115706: Media files appear as broken on Firefox. Automatik created T115706: Media files appear as broken on Firefox. Automatik created T114608: Internal link considered as an interwiki link. Automatik created T111515: Database scanner doesn't end its analyzes. Restricted Application updated subscribers of T30397: Allow collation to be specified per category. Automatik awarded T30397: Allow collation to be specified per category a The World Burns token. Automatik awarded T101810: Get deleted revisions by username a Like token. Automatik added a comment to T100980: Regular disconnection of the bot. In the meantime I resolved the problem by adding the variable "password_file" to my user-config.py, and I'm going to migrate to core as soon as possible (via pywikibot/core/scripts/maintenance/compat2core.py (which is not complete since it does'nt convert function names when they are used via "from wikipedia import *"). Thank you for the aid proposal. Step 5 says: "Create a file in your .pywikibot directory", but I don't have any .pywikibot directory. I just have "pywikibot"
Automatik created T100980: Regular disconnection of the bot. Automatik created T88099: figure class="default size" inserted in a caption. RandomDSdevel awarded T85408: ifexist: when creating a page a Haypence token. Automatik created T85408: ifexist: when creating a page. Automatik created T85377: When the user pastes in an <em>, we should probably convert it to an <i>?. Automatik reopened T1092: "Warning: Too many errors." but none explained as "Open". Automatik updated subscribers of T54469: Inaccessible anchors in the special preferences page. Automatik created T77975: Bi-directional text not displayed correctly in Special:log - brackets are incorrect. Automatik created T76749: data-ve-clipboard-key span inserted in page. Automatik created T76099: VisualEditor has been disabled unexpectedly on fr.wiktionary. Automatik created T1092: "Warning: Too many errors." but none explained.